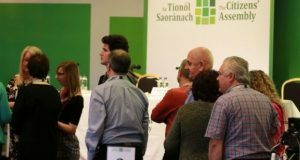 The submissions process to the Citizens Assembly on “How the State can make Ireland a leader in tackling climate change” closed today, Friday 11 August 2017. Members of the public, representative groups and citizen organisations were urged to make a submission to the Assembly. In spite of the success of the assembly on other issues, “very few individuals have submitted recommendations” in advance of a deadline later this week, the Environmental Pillar said. The group is a coalition of 26 national environmental non-government organisations which promote protection of the environment and environmental sustainability. 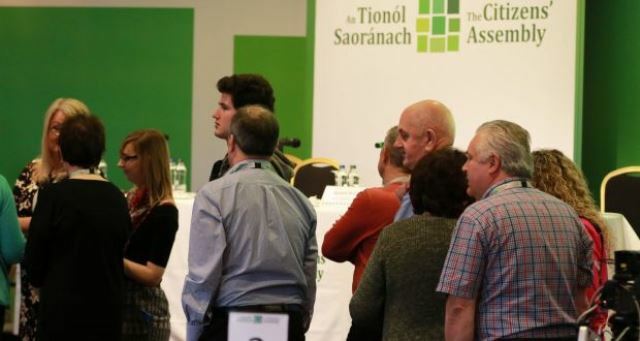 “This is a unique moment for the people of Ireland to decide the constitutional basis for a framework that reflects the significance of climate change and its impacts, as well as our commitment to safeguarding an environment that supports our wellbeing both for now and for future generations,” said spokesman Niall Sargent. URGENT NEED FOR ACTION NOW! Consequently, the SMA fully endorse Ireland’s signing of the 2015 Paris Agreement, committing to achieve legally binding targets for greenhouse gas (GHG) emission reductions by 2020 & 2030. We are concerned, however, that the Irish Environmental Protection Agency and other environmental groups are highly doubtful that our targets will be met. Ireland must, therefore, urgently revise its national plan for GHG emission reduction, especially in the areas of agriculture and transport, most particularly our dependence on energy produced by oil, gas and peat. A revised action plan must be presented to citizens, with clear and verifiable implementation procedures. The changeover to electric cars is welcome as part of GHG reductions, however, the electricity used should be from renewable energy resources. The failure to meet our legally binding targets will be immoral on several counts, especially the wastage on financial penalties – resources which could and should be invested in the development of clean and renewable energy production. Furthermore, of major and particular concern to the Society of African Missions is the impact that Global Warming and Climate Change is having on the world’s most vulnerable people, as we are observing on a seasonal basis throughout the continent of Africa and in parts of Asia. The adage ‘out of sight – out of mind’ has little meaning to the Society of African Missions as our confreres working amongst the majority world see for themselves the impact of Climate Change on the lives of the Earth’s poorest people and keep the Irish Province informed on a regular basis. Unquestionably, there is lethargy around this critical issue at present. There are many factors contributing to such lethargy, ranging from greed to need. However, political leadership is required to awaken within all citizens the urgent need for action NOW to ensure the future wellbeing of the planet and generations to come. We believe that Ireland can be a credible world leader in this area. And we are certain, as we have seen through the implementation of the smoking ban and tax on plastic bags, Irish citizens can and will spearhead such initiatives as European and Global citizens, when offered genuine and authentic leadership. You may read the Irish Times article by clicking here.